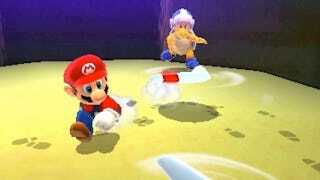 Super Mario has thrown fireballs for about three decades. In Super Mario 3D Land next month, he'll throw a boomerang in what Nintendo is saying is a tribute to The Legend of Zelda, a series that turns 25 this year. Mario can throw a boomerang when he dons the Boomerang Suit, one of several power-ups in the portable Nintendo 3DS game, along with a Propellor Suit, a Raccoon Suit and maybe more. You can see plenty of new screenshots of Super Mario 3D Land in the gallery here. Just flip on through, and keep your eye out for more of the boomerang. The game will be out in North America on November 13.